Suffice it to say that this is a fine, fine album. There are many reviews around that go through track by track, describe the intricacies of the playing, the production qualities and so forth much better than I could, so I won’t bother. Elbow are another band whose time is deemed ‘to have come’, or rather ‘arrived’ with the last album. Much like with The National and High Violet this stage of a bands growth fills me with anxiety. I am never sure whether it’s the impending sense of loss – a band I rather presumtuously claimed for my own (along with a myriad of others) finally receiving yet wider recognition – or the fear that with the ‘success’ they would lose touch with that nebulous thing that had struck such a chord with me in the first place. Fearful too am I that moving from 1500 seaters to the cavernous impersonality of the arena circuit is not so much an effort to be accessible to the larger fan base but more a chance to enjoy the rock and roll ego massage. How much of my listening pleasure is made up of the hungry search for the new, the relatively undiscovered, the arrogant warm glow of getting to a band, if not first, then amongst the first; and how much made up of a nostalgic wash of pleasure of what has been and the memories tagging along behind? 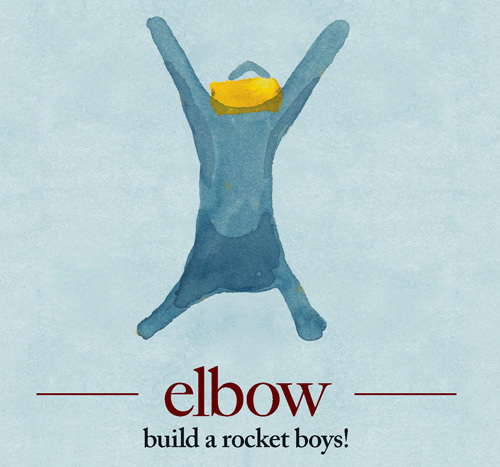 But back to Elbow. BARB! could so easily have been their route to that future but it doesn’t seem to be. For despite the new arena tour (which may or may not be a good thing – the experience of Cardiff will tell me that), this album contains remarkably little of the reach-to-the-back-of-the-stadium moments. It’s relatively contemplative, slightly mournful, low on the bombast and grande geste and high on the finely observed, carefully crafted word-smithing and expert musical playing. Overall it has an authenticity, the mark of the genuine and a reality which, although I cannot shared the specifics of experience and location, still succeeds in resonating, touching both a commonly and personally held sentiment. Maybe this is the differentiator – the ability to remain authentic and personal but still be able to connect with a wider experience. If bands like Elbow can sustain the ability to walk the fine line between popularity and personal connection then maybe ‘success’ isn’t such a bad thing. This entry was posted in Uncategorized and tagged Elbow. Bookmark the permalink.